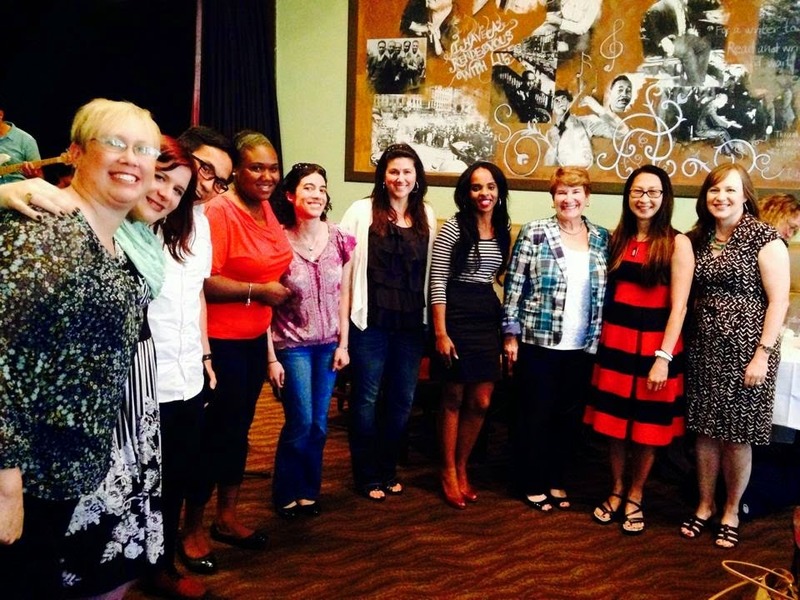 Julie S., Amanda, Kevin Vollmers, Amira Rose, Jenn, Michelle, Aselefech, Amb. Susan Jacobs, Rosita, & Karen P.
Angela Tucker is a trans-racial adoptee, adopted from foster care, with special needs. She recently reunited with some of her birth relatives, and is still actively searching for another birth sister. Angela's story and adoptee-rights work has been featured on Huffington Post, Slate, The Daily Kos and other mediums. She was interviewed by NPR, but her interview was then recanted which prompted #NPR-gate. She regularly gives keynote speeches and leads workshops on transracial adoption around the nation. Angela is married to Bryan Tucker, the documentarian and filmmaker of Closure; www.closuredocumentary.com, a feature length documentary that chronicles Angela's adoption search and reunion. She blogs about adoption, white privilege, race relations and cultural affairs www.theadoptedlife.com. Jenn was born and domestically (United States) adopted in the late eighty’s as an infant in Massachusetts, a tiered access state. She searched and found her first family in 2010 with no access to her original birth certificate (she was born in a blackout year) and has been traveling the rocky road that is reunion ever since. When Jenn isn't pondering adoption and what it means to her, she can often be found curled up with a good book or dancing her bedroom with the music blasting. Liberty was born and adopted in Illinois under the closed adoption system. With an otherwise happy upbringing, she struggled with identity, due to the secrets surrounding her background and living as a mixed-race person in rural Midwest. (Her hair was a clue to her racial heritage, which her adoptive parents were not aware of.) She found her birth mother, whose background is Irish and English, through the adoption agency at age 19, and found her African-American biological father through Facebook at age 28. She received her original birth certificate from the state of Illinois in 2012, after the passage of historic legislation allowing access. She teaches English in Pittsburgh, PA, and is writing a memoir about her experiences. Rebecca Hawkes is a reunited adult adoptee and a mother to a daughter by birth and a daughter by open adoption from foster care. She is trained in certified Parent Effectiveness Training and is a Beyond Consequences Institute instructor. You can read her writings at Sea Glass & Other Fragments and Ashley's Moms. Lynn Grubb is a closed-era adoptee, step mother, biological mother and kinship adoptive parent. Lynn is a paralegal and a former Court-Appointed Special Advocate (CASA) for children in Ohio. Lynn has been in reunion with her original mother and sister since 2006. Lynn writes about adoption at www.noapologiesforbeingme.blogspot.com. Deanna Shrodes is an adult adoptee (adopted in 1966) who searched and found her original mother, sister and brother and reunited with them in 1993. She has been married for 25 years and has three children and lives in the Tampa Bay area. She is passionate about bringing hope and healing to adoptees as well as expanding the Christian community's understanding of adoption. Deanna is a licensed minister, pastor and career coach. She writes about adoption at Adoptee Restoration. Laura Dennis is an adult adoptee in reunion with her maternal biological family. Born in New Jersey, raised in Maryland, she considers herself a “California girl,” even though she currently lives in her husband’s hometown, Belgrade, Serbia, with their two small children. Adopted Reality, Laura’s 9/11 memoir of adoption, reunion and a brief bout with insanity is available on Amazon. She blogs about expat (adopted) mommy life. Cathy is a a reunited adult adoptee of private, domestic infant adoption. She has written a memoir in partnership with her birthmother called Kathleen-Cathleen — A True Story of Adoption and Reunion, where she and her birthmother write alternating chapters sharing their experience of reunion from both the perspective of the adoptee and the birthmother. They have chosen not to read each other's sides of the story until the book is published so that their perspectives stay intact and uninfluenced by each other. In the same way, they have been writing parallel blogs on shared themes: Cathy's (the adoptee) blog is reunioneyes.blogspot.com, and Kate's (the birthmother) blog is mothertone.wordpress.com. Kripa was born in India and adopted to a single-parent household in Northern Minnesota in the 1970's. Kripa holds a Ph.D. from the University of South Carolina, a Masters from the University of Minnesota, and Bachelor's from Bethel College. Kripa is a Licensed Master Social Worker with more than seventeen years practice experience in the nonprofit, social service, health, educational and philanthropic sectors. Kripa has worked with many diverse families in the child welfare system - including child protection, foster care and adoption. Since 1994, Kripa has served as a speaker for national adoption conferences, heritage camps, adoptive parent workshops, and adoptee-only gatherings, and is actively involved in the adult adoptee community in various leadership roles. Over the years, Kripa has served as a trusted resource to various members of the adoption constellation. In 2009, Kripa returned to India with her husband and two children, who are now ages 19 and 5. Mila is a reunited Korean American transracial adult adoptee. She was born in Seoul, Korea in 1975 and adopted 6 months after her birth. She is a wife and new mom. She reunited with both her Omma and her Appa in 2009 and keeps on-going communication with them. Mila blogs about her experiences as an adoptee, about family preservation and ethics, and about her journey through reunion on her personal blog, Yoon's Blur. Jennifer Bao Yu ‘Precious Jade’ Jue-Steuck of Laguna Beach (Orange County), California, is a graduate of New York University’s Tisch School of the Arts and Harvard University, where she was a Bill & Melinda Gates Scholar. Born to a birthmother from Jiangsu Province, China, Jennifer was adopted by an American couple from Los Angeles in 1979. She is founder of Chinese Adoptee Links (CAL) International - G2, the first global group created by and for the 150,000 Chinese adoptees in 26 countries, and is a co-founder of their One World Blog (ChineseAdoptee.com). Inspired by her (adoptive) mother's life and battle with ovarian cancer, INSPIRATION ICE CREAM is a foodie memoir fundraiser to raise awareness about the effects of adoption motherloss and child bereavement. Von is an Australian adoptee of the forced adoption era and has lived the adopted life for 66 years. She is known by her family and dearest friends as someone who takes no prisoners and has a horror of bigotry and injustice.She is a strong believer in the rights of children, the power of love and the medicinal powers of chocolate. She speaks her truth and often describes herself as an adoptee who is 'out, proud and loud". She had the benefit of Yorkshire genes for direct speaking and Somerset genes for perseverance. The Grandmother in her avatar she never knew but has taken as a role model and an inspiration.She is still waiting to be told she is not the oldest blogger on adoption in the blogosphere. Von blogs regularly at her personal blog The Life of Von. Kassaye holds a Bachelor of Arts in Political Science and a minor in Human Rights Studies from Concordia University in Montréal, QC. She was adopted from the Gondar region of Ethiopia at the age of 1 into an English-speaking Québécois/Canadian family living in rural Québec (which is Canada's majority french-speaking province). Her adoption was arranged via private contacts her parents had who were doing relief work during the famine and war of 1984-85. Due to the limited information available about her background which she believes is tied in with the cultural and political landscapes of Ethiopia, Kassaye views adoption as extremely political and being an adoptee a unique political experience. She identifies with being a lost daughter because of the missing connection she has with her country of origin and also her birth family. Nevertheless, as an idealist at heart she believes that adoptees, especially women adoptees, occupy a special position in societies and that they have powerful and compelling messages which need to shared, heard and listen to in order to bring about more social and political justice. Lynn is a strong advocate for opening adoption records nationwide and in passionate about educating adoptive parents on the importance of open communication and lifelong emotional support of their adopted children. 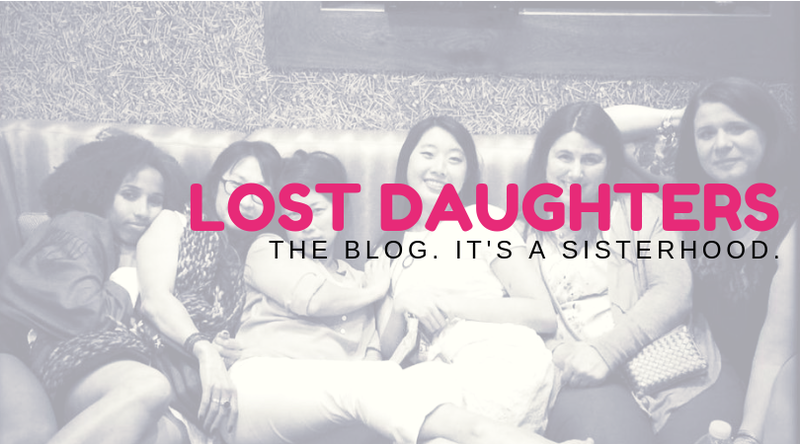 She hopes that her column on The Lost Daughters will serve as a platform for her interest to become an integral part of the adult adoptee community. Amira Rose Davis is a transracial adoptee who was born in Texas in 1988 and adopted as an infant and raised by two awesome adoptive mothers in Massachusetts. She has been reunited with her birth parents and siblings since 2009. Both sides of her growing family were in attendance at her wedding to Michael the following year. Amira Rose is mom to a spunky 6-year old diva and a mischievous 18th month old daredevil. Amira Rose is currently a PhD Candidate in History at Johns Hopkins University and when not researching or writing her dissertation she enjoys obsessing about Boston sports and planning Disney vacations. Mariette Williams is a transracial adoptee who was born in Haiti and adopted at the age of three. She grew up in Vancouver, B.C. with four other Haitian adoptee siblings. In 2014, she decided to embark on a year long blogging project, sharing stories from all different perspectives at www.thosefourlittlewords.com. During her year of blogging, she searched for and found her birth family. She is the founder of the Haitian Adoptee Facebook book, where she hopes to bring Haitian adoptees together to support the next generation. Mariette teaches middle school English and lives in South Florida with her husband and two children. Philomena was born and raised In New York. She was placed in foster care at age 5, after being found locked in a basement and abused over an extended time. She was later adopted. When both of her adoptive parents died before she was 14, she started again from scratch. Now a journalist, mother, advocate, and proclaimed foodie, she aims to reach out to other former children in the system and help them find a path forward. Her acclaimed blog, “Finicky Philly” (menaanne.wordpress.com) covers foster care issues, her unique bond with her 11 year old daughter, “Mini Me,” and their journeys in the kitchen. She is especially interested in the motherless mothers dynamic. Philomena holds degrees in English and Education. She has worked up and down the east coast for many award winning media outlets, covering everything from crimes against children, to child welfare policy, and to food/nutritional healing. She also worked as a contracted writer for the military. She has been part of many national child advocacy projects. Philomena (Phyllis Anne Amalfitano Kessler Guilmette Thompson), may have a complicated name, but her mission is simple. Follow her on her journey to help former foster children and adoptees find personal success as adults and as parents. Joy received her B.S. from Union College and her Masters in Social Work from Columbia University. She has been working in the field of adoption for the last 14 years professionally and through various volunteer organizations. She was a Policy Analyst for the Evan B. Donaldson Adoption Institute where she co-authored the Report on the First Gathering of Adult Korean Adoptees in Washington, DC and has also been published by Child Welfare League of America in their Adoption and Ethics series. She also worked for Adoptive Families Magazine. Joy was a social worker in international placement for Spence-Chapin Services in NYC and ultimately worked in their post-adoption department for six years. During that time Joy has worked as a counselor for children and parents, presented at workshops related to issues around being adopted, facilitated Spence-Chapin’s Kids Groups, facilitated teen groups, and helped to create the highly successful youth Mentorship program. She has created curricula for agencies and professionals on a wide variety of topics – such as preparing for birthcountry visits, an overview of clinical issues in adoption – as they relate to helping families and children around adoption issues. Joy has spoken in local and national forums, in particular, at the Joint Council on International Children Services, Adoptive Parents Committee, Families with Children from China and the North American Council on Adoptable Children. She is currently in private practice and works primarily with kids and young adults who are adopted. She is also a counselor at The Juilliard School in Manhattan. Joy is adopted from South Korea. She came to her family just shy of her sixth birthday. She grew up in New York. She was the president for six years of Also-Known-As, a NY based non-profit volunteer organization for internationally adopted people and families. She created their highly successful youth mentorship program and ran a variety of forums for adult adoptees. She was on the planning committee for the First Gathering of Korean Adoptees in 1999 as well as the Gathering in Korea in 2004. She lived in Korea for a year working in the orphanage where she once resided. During that time she learned how to speak Korean, learned that her birthmother had been searching for her for 21 years and learned that her identity as a Korean adopted person was a significant aspect of who she is. She has been in reunion with her birthmother since 1994. Elle is a female Korean adoptee who was relinquished for intercountry adoption 2 days after her birth. She was adopted to Sweden before 3 months old. She was born as the 7th and last daughter of her birth parents and has one younger birth sibling. Her brother, younger than her by five years, was also adopted from Korea. She found her birth family 10 years ago, when she was fifteen years old. Now in her 20's, she has visited Korea twice. ElaineP is a reunited adult adoptee of private, domestic infant adoption. She blogs regularly at her personal blog, Elaine's Blog. Samantha is an adult adoptee of private, domestic (United States) infant adoption. She is a wife, mother, Christian, Adoptee Rights Activist and an Adoption Reform and Family Preservation Advocate. She has been in reunion for two decades. Samantha blogs about adoption at her personal blog Neither Here Nor There. Nikki is an adult adoptee of private, domestic (United States), infant adoption. She was born in Maine, an open-access state, and obtained her OBC is December 2009. She has been in reunion with her maternal and paternal original families since January 2010. Nikki is a wife and a mom to both biological and adopted children. She enjoys running, reading, and spending time with her family. Carlynne is a late discovery adoptee who was adopted by her step-father. She is also a natural mother who lost a daughter to a coerced adoption in 1980. She found out about her own adoption 6 years after losing her daughter. She's been reunited with her daughter for 10 years. She now blogs about adoption at One Option Means No Choice and she is currently the treasurer for Origins-USA. julie j is an adult adoptee who was stolen from her family as a young child. She was in American foster care in the early 1960’s and then later illegally adopted. She has happily been in reunion since ’93, thanks to ISRR. She recently acquired her OBC through a court order :) julie j is a wife, mother, business owner, family preservationist, activist for adoptee rights, child advocate and adoption search angel. Her other interests include reading, theater, genealogy, music, games, & working out. One of her future goals is to become a CASA volunteer. Christina is an adult adoptee, reunited with her natural family after her mother found her on Myspace in July 2008 and after she found her father on Facebook in December 2010. She was born in Massachusetts and placed for adoption six days after her birth in 1974. Christina is a full-time corporate cubicle dweller, mother to two kids and life partner to a very patient and understanding man. When she's not crunching numbers at work, reading a good book or running after her kids, she's posting at her beloved "Out of the Fog" blog. Karen Belanger a.k.a "Assembling Self"
Karen Belanger is an adult adoptee and the author of "Assembling Self" an adoption poetry book and writes at her blog of the same name. Karen has held various leadership positions within the adoption education, reform, and activism community over the last fifteen years. She has recently submitted pieces to "Adoption Therapy" and “Adoptee Survival Guide” and is now working on her second book. Michelle is a recently reunited adult adoptee and a mother through birth and adoption. Born in the late 1960’s, she was adopted as an infant in what was then a typical closed adoption. The laws of her state continue to reflect the stigma and secrecy of that time, prohibiting her from obtaining her original birth certificate without a court order. She is indebted a handful of mothers who laid their souls bare and patiently bore with her in the early years of examining her thoughts and feelings about adoption. Today she is proud to advocate for adoptee rights, family preservation, and adoption reform. You can find more of Michelle’s writings at her personal adoption blog, The Warrior Princess Diaries. You can't label a person, but if you tried, these are some of the labels I've worn: daughter, orphan, adopted daughter, wife, soldier, veteran, engineer, manager, mother, adopter, writer. 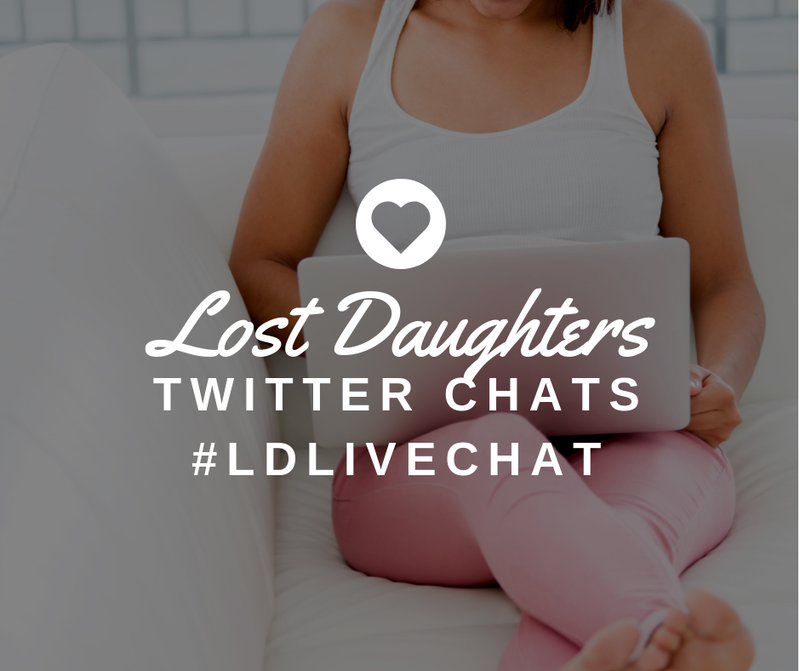 As writer: I contribute to the Lost Daughters blog and several adoption-related anthologies, all in development. I wrote for the now-retired blogs Faiths and Illusions and Grown in My Heart. As orphan, daughter, and adopted daughter: I have an American family that raised me and a Korean family that lost and found me. Both families met in 2013. As wife and mother: I live with my husband, Brett, and four children (3 biological, 1 adopted from China) in Southern California. Amanda is an author, speaker, and social worker. She has a Bachelor's degree and a Master's degree in social work. Amanda has served the adoption and foster care communities through individual and family clinical work, group work, writing and presenting, and working for positive policy change. 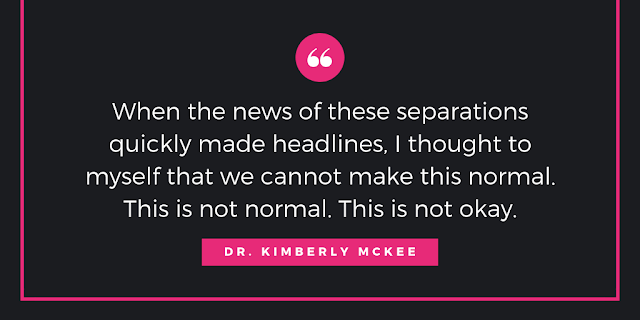 Her writing and presentations have reached broad audiences through multiple books, magazines, major news and radio interviews, and conferences, and she has engaged with legislators at the state and congressional levels on adoption policy. Amanda is probably best known for her personal blog, The Declassified Adoptee. Trace is one of the original Lost Daughter's authors. She wrote Lost Daughter's very first post, and is now retired from activism. She is an award-winning Shawnee-Cherokee author Trace A. DeMeyer has published her memoir, One Small Sacrifice: Lost Children of the Indian Adoption Project, which includes opening her adoption and little-known history and details on the Indian Adoption Project resulting in the Indian Child Welfare Act. Trace is former editor of the Pequot Times in Connecticut and editor/co-founder of Ojibwe Akiing; and she was news reporter and photographer at the national Native newspaper News From Indian Country in Wisconsin. Trace's work can be found at AMERICAN INDIAN ADOPTEES: Lost Children, Lost Ones, Lost Birds. Susan was a 63-year-old adoptee, mother of two girls, and grandmother of six. She was a member of NJCARE and a passionate advocate for adoptee rights. Her advocacy for adoptees began when she discovered a serious medical problem. After years of fighting a health battle, and for the rights of adoptees, Susan died from melanoma. The last 8 months of her life were spent writing back and forth with her birth sisters almost everyday. Susan was a retired teacher and public relations professional. Her legacy is carried on by her children who maintain her blog, Nana Days. Susan was a Lost Daughter's contributor for two years and is our sister forever.